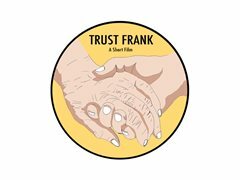 Trust Frank is a 15 minute romantic comedy about two elderly neighbors suffering from infirmities. Frank has lung cancer, Rose has dementia but together they find the strength to go on living and discover it is never too late to find love. To find out more apply now. We have secured neighboring houses which will need to be dressed, want lead characters to be stuck in time capsule when in their homes so 50's-60's look, main character a Vietnam veteran so some medals and photos to source, need someone with Art Dept. experience but must be passionate and keen to collaborate with filmmaker. This project will be a challenge, have a professional HOD's and experienced cast attached.